You never know who you'll meet. 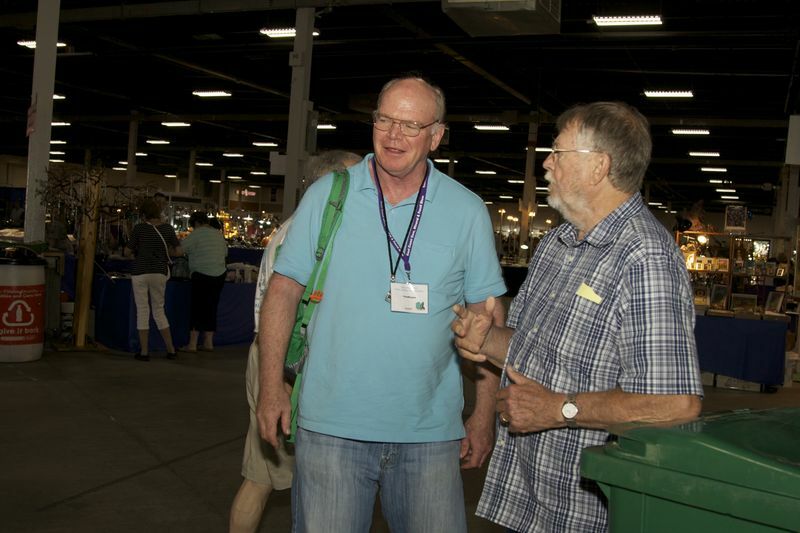 The exhibitors are Paula and Les Presmyk. 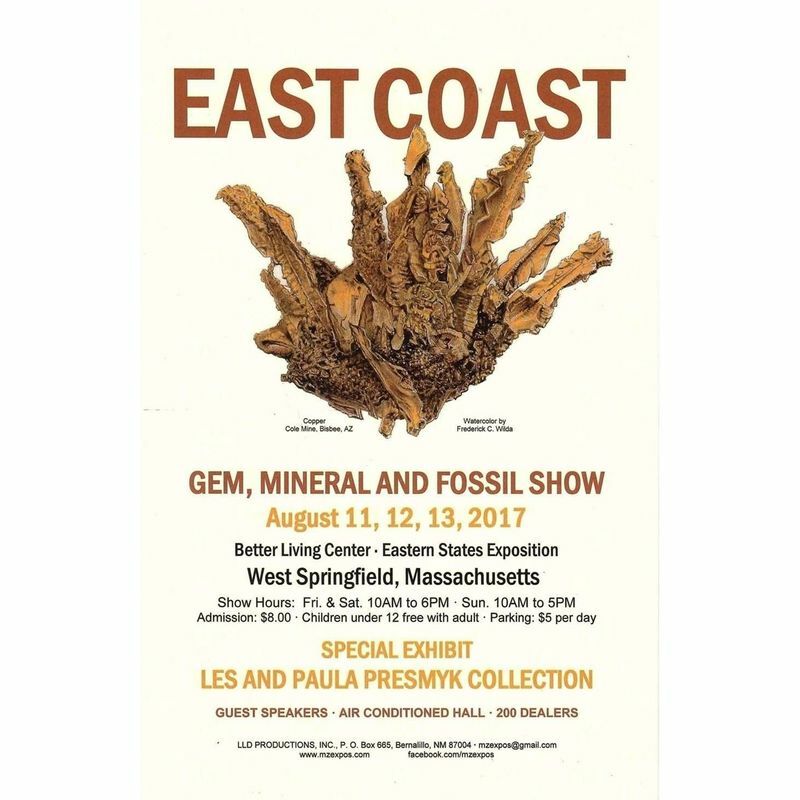 West Springfield, MA., August 11 - 13, 2017, The East Coast Gem, Mineral and Fossil Show. Am looking forward to it. I'll be there this year. Looking at the picture of Peter, that is one man I would not like to meet on the battle field! 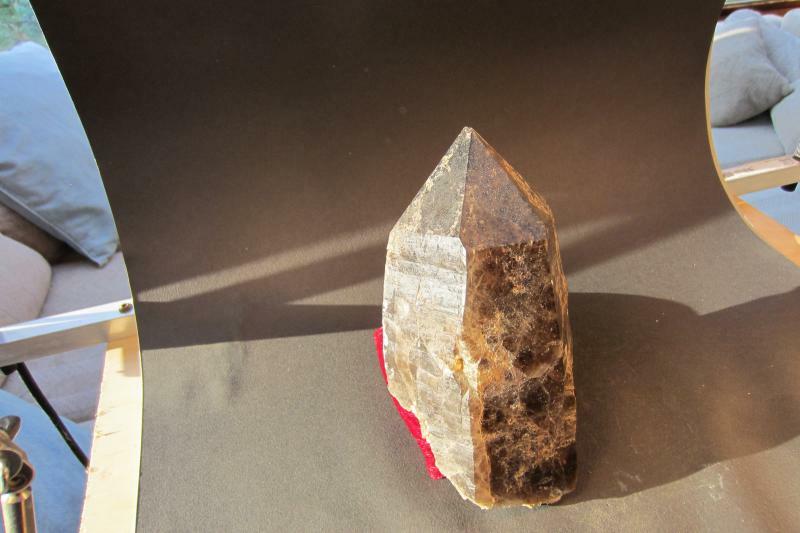 After years of enduring shoplifters and abuse to my minerals, I decided to stop selling at this show. 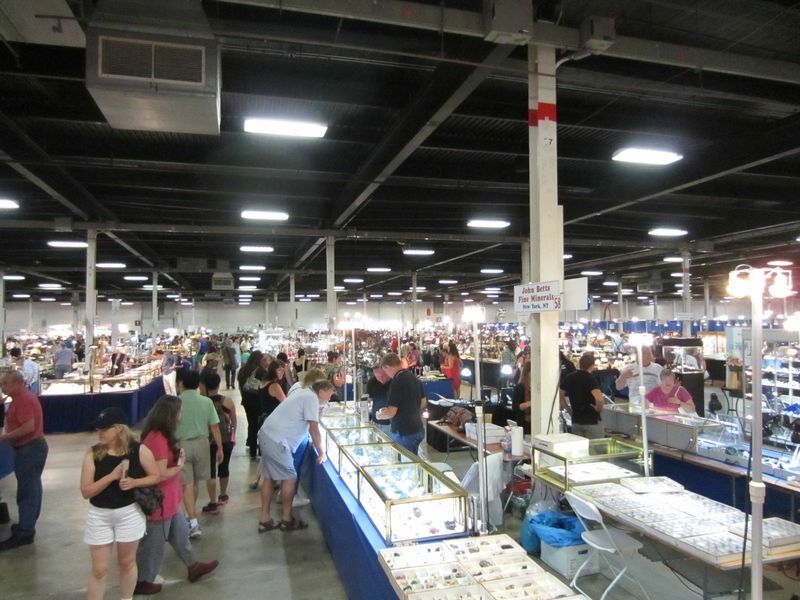 This is my first August in 27 years that I do not have to spend preparing for, and selling at the Springfield show. John, I am sorry to hear that you have had so many problems at the show. It is a real pain when things are damaged or stolen. The booths are very long (40 feet?) and I am there alone. If I was at one end of the booth, there was no way to guard the opposite end. Pierre, unless you're reaching for a rock I want, you're safe. What do you suppose is the difference between a hotel show like the Inn Suites, Tucson and an arena show, like the East Coast in terms of theft? The intimate nature of the hotel room seems like it would make a difference. John's point about 40' to cover and pay attention to customers is spot on. Good help is hard to find. Small digital camera systems would be a deterrent and help identify perpetrators, possibly. First, look at the very front and center of the above picture. At least some of the specimens....the better ones? ?.....are under glass. 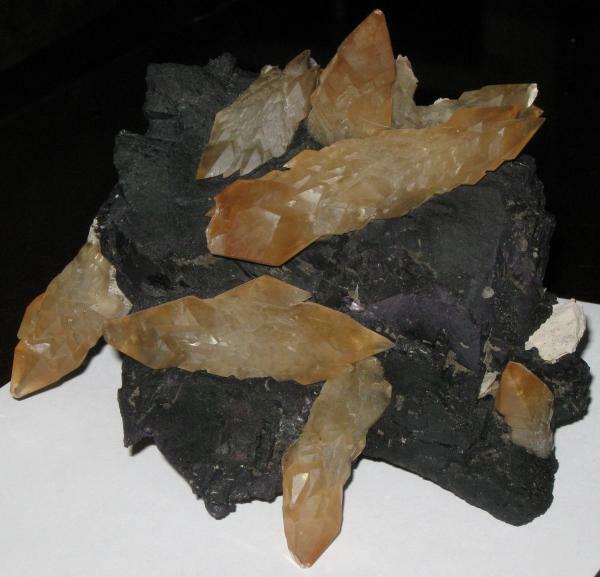 Lesson to be learned is that each dealer should consider putting his/her better specimens in some type of case or cabinet or behind them on shelves in their booth or table. Any truly interested customer will never be put off by a better quality specimen just a bit out of the main traffic flow. Jordi, they're going to be awfully ugly. Not only that, but really, really rare and impossible to pronounce their names. Alfredo, is that flyspeck or a mineral? You've got your thief characterization backwards Alfredo...it would take an educated and knowledgeable thief to steal profitably from you...any idiot can swipe a colorful tourmaline.